NASCAR Xfinity Series driver Elliott Sadler is retiring at age 43, while Monster Energy Cup driver Kasey Kahne is calling it quits at an even younger age, 38. At age 33, is Kyle Busch anywhere close to thinking about stepping away from full-time competition? "I've asked my accountant that question, and he says I'm screwed," Busch said. "I've got to keep going. I've got way too much debt. Unfortunately, I don't think I can retire as soon as the rest of those guys are. But we'll see how things go in the future with what I've got going on." Busch owns teams in the Camping World Truck Series, and it takes a tremendous investment to operate Kyle Busch Motorsports. But Busch has been extraordinarily successful in NASCAR, winning the 2015 MENCS championship, the 2009 Xfinity title, 49 Cup races, 92 Xfinity races and 51 truck races. And he's still at the top of his game, as he's leading Cup Series points standings heading into the Bass Pro Shops NRA Night Race at Bristol Motor Speedway this weekend. 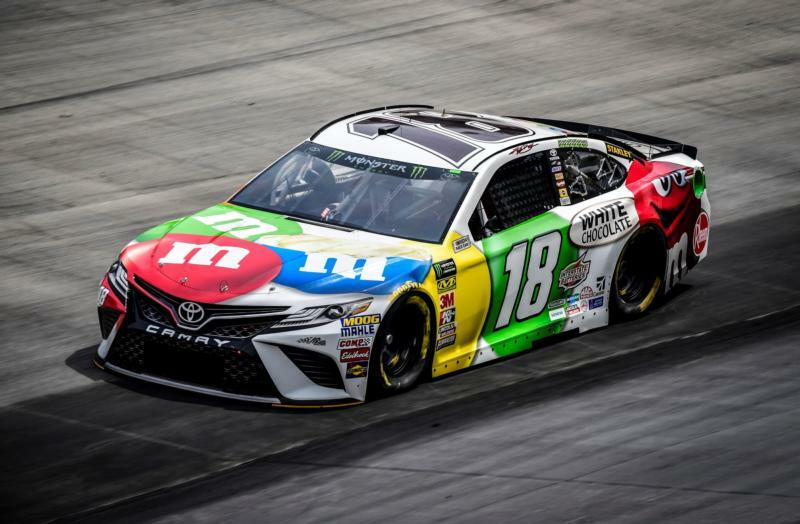 "We've gone through a lot of change over the years with packages and cars in the Cup Series, and I've been around for a few of them," Busch said. "It still feels like there's some opportunity to excel, and you hope you can excel. Obviously, the better drivers, the more talented drivers should always shine and come to the shop. Maybe we can still have that opportunity with whatever new package is coming, if it is coming. We'll see what happens in that regard." 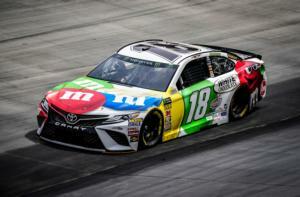 For now, Busch is focused on the 2018 title, and he and his Joe Gibbs Racing team are in prime position to challenge for another championship. He leads Kevin Harvick by 62 points and Martin Truex Jr. by 144 as the "Big Three" battle for the title. Busch, the leading active Cup driver with seven Bristol victories, seems a lock for the regular-season championship, and he's focused on achieving that goal. "We're trying to make sure we can close the regular-season with that championship and get those bonus points," Busch said. "That's what's most meaningful, those bonus points that you can carry on through each round of the Chase. That's going to be important." "As far as what we can do to make sure we still achieve that, it's just run strong, and the points will take care of themselves if you're running up front and doing all the right things."